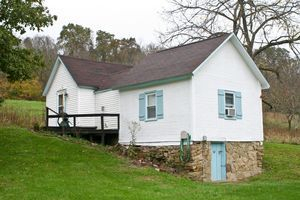 The Grainary Cottage is one of our many cottages in the Athens, Ohio area. Two pet Friendly with desposit. 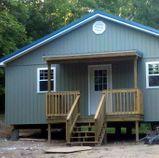 Room sizes: Bedroom 9' x 11', Galley Kitchen 5' x 11', Bathroom 7' x 9', Living Room 11' x 15' Rent $690 includes minimum water. Other utilities additional. 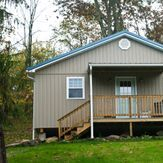 This quaint, renovated one bedroom cottage type trailer sits on a beautiful, private, 3 acre lot surrounded by trees. Comes complete with an underground root cellar and small shed. 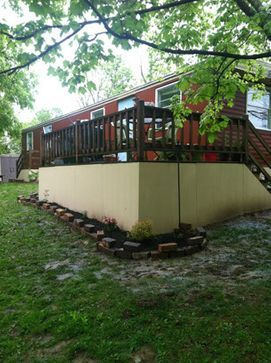 It has a nice kitchen with dishwasher and a full bathroom with shower and washer/ dryer. A large deck and outdoor fire ring top it off for private country living. Only minutes from Stroud's Run State Park on Scatter Ridge Road in Athens. Morel mushrooms and wild berries are only minutes out the door! 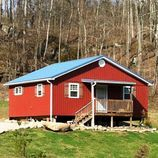 are 2 bedroom cottages on a private cul-de-sac on Dutch Creek Road. Pet friendly (no more than 2 "furry" pets with required deposit.) Rent for each is $790* per month including minimum water. All electric plus a propane wall heater. Typical electric bill $45 no A/C or heat. With window A/C $90/ month. Heat in the 3 cold months could reach $200. You are responsible for maintaining a warm cottage to ensure pipes do not freeze in frigid temps and for refilling propane tanks. Rented through May 30, 2020. © 2019 Lance Rentals . All Rights Reserved.